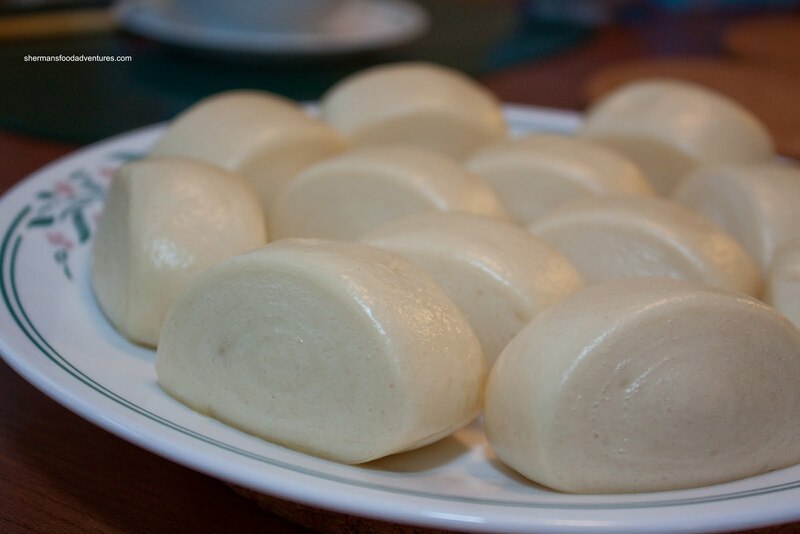 Frozen Dim Sum. Not particularly the sexiest way of enjoying the Chinese version of tapas. Of course with most things, fresh is better. However, making fresh Dim Sum at home is not necessarily the most effective use of ones' time or effort. 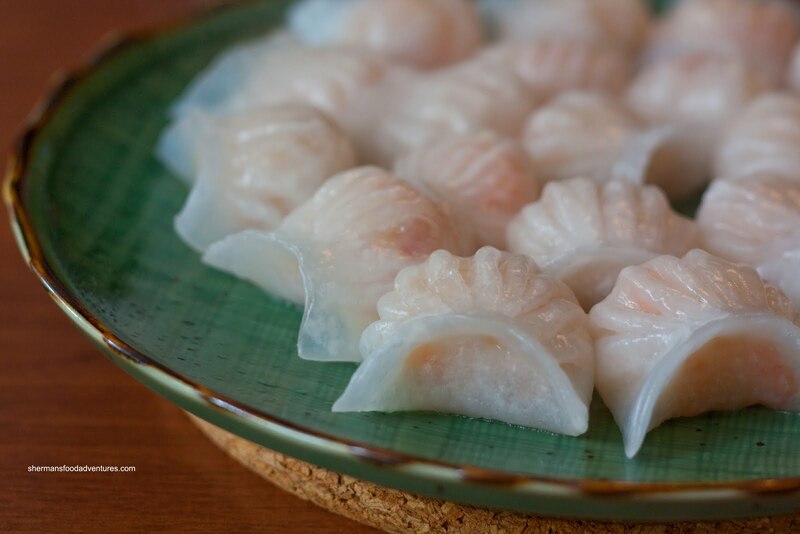 So we resort to frozen dumplings for our Dim Sum hit at any time during the day. We were actually not on the lookout for frozen Dim Sum really; however, it was right in our faces as we left Fortune City. The place didn't look like much and in fact, it was really run-down inside. I was truly skeptical and reluctantly picked out a few items. The one item that I am normally quite afraid of buying frozen is the Haw Gow (Shrimp Dumplings). I really shouldn't have been afraid at all because these haw gow were pretty decent. 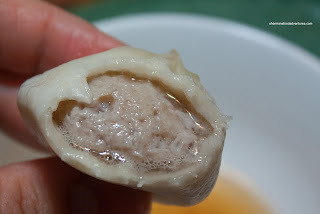 Sure, the dumpling skin was on the thicker side; yet the shrimp filling was good. There were large chunks of crunchy shrimp that was well-seasoned and sweet. 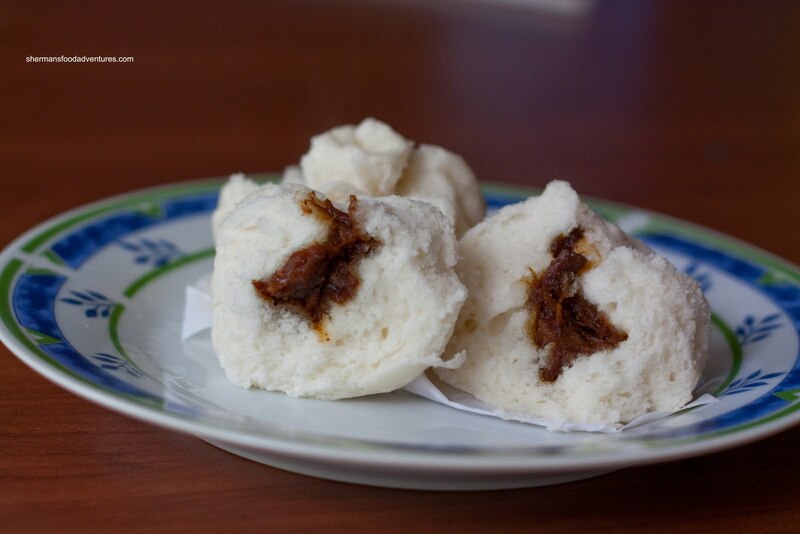 On the flipside, the Mini-BBQ Pork Buns were lacking in filling. Yes, they were the mini version and I probably have to cut them a bit of slack since you can only fit so much in it. However, even after steaming, the bun itself was slightly dry and the lack of filling only perpetuated the problem. There was nothing wrong with the BBQ pork filling though, it was sweet and savoury with a pleasant colour. Now, how about a bun that has no filling at all? The owner-lady suggested we get a bag of their Mini-Mantou. Apparently, it is very popular with the kiddies. Well, she was right. The kiddies just couldn't get enough of them. I can see why too. They were pillowy soft after steaming while still maintaining a slight elasticity on the outside. It was slightly sweet; yet not overly so. It was an excellent blank canvas for some type of filling. In this case, it was Spam. They loved their mantou Spamwich. Of course for the more creative, a braised pork belly or roasted pork would really be a great compliment to the mantou. Normally, much like the haw gow, frozen Xiao Long Bao are as attractive as day-old McD's french fries. So once again, I was a bit hesitant to get any. But I did and the owner-lady was adamant as to how to prepare it. She asked me like 3 times if I knew how to steam them. I assured her that I wouldn't butcher her product. After cooking them, I could see why she was so concerned. The XLBs actually had a decent amount of juice in them. That is a rare feat for any frozen XLB. Now, not all was good though. The skin was thick; yet that is totally forgivable since it was a frozen product. Second, the meat and juice were not exactly flavourful. There was some meat flavour with very little in the way of seasoning. In the end, these were still very respectable frozen XLBs. Lastly, I gave their Pork Dumplings a try as well. These were pretty average at best. The meat filling was totally bland and had a weird texture. The dumpling skin was not too thick, so that was okay. 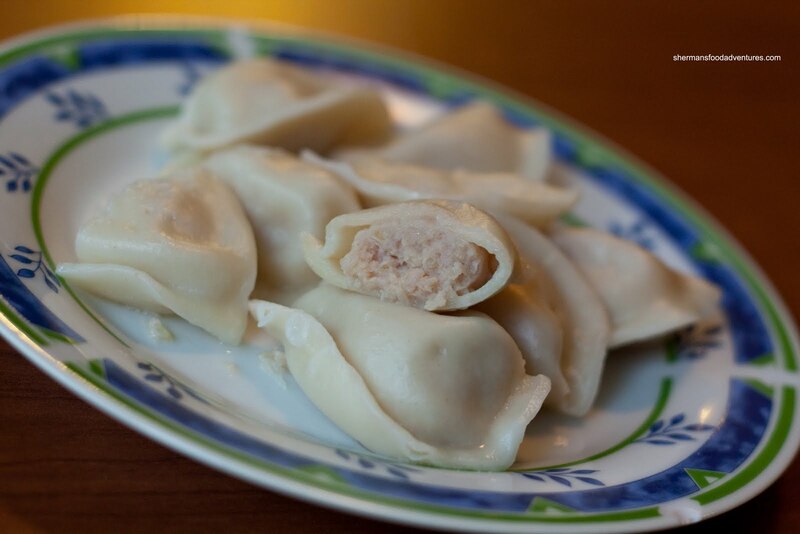 Granted, it is typical to dip these dumplings into some sort of sauce. Therefore, being bland is not necessary the end all. In general, for the items we did try, there were some surprises. Of course our expectations were tempered since it is unfair to compare with freshly made Dim Sum. With that in mind, the haw gow, xiao long bao and mantou were above average for frozen Dim Sum. I'm game for getting these again and trying some of their other stuff as well. When I used to live in the area, I would go and by Dim Sum there about once every two weeks. Even though it's obviously not comparable to making fresh dumplings, overall they're pretty good. The one thing I admire about it, is the fact that she has a pretty good memory and her service rocks. Usually you don't get talkative people at frozen dim sum shops. Man .. you article does not mention ... the name of the place .. nor the location ..
i don't know if you know what comes when you search FORTUNE CITY or BEST DIM SUMS on Google..
Can you be specific when you are blogging , especially for things like LOCATION ? Did you not read the title??? 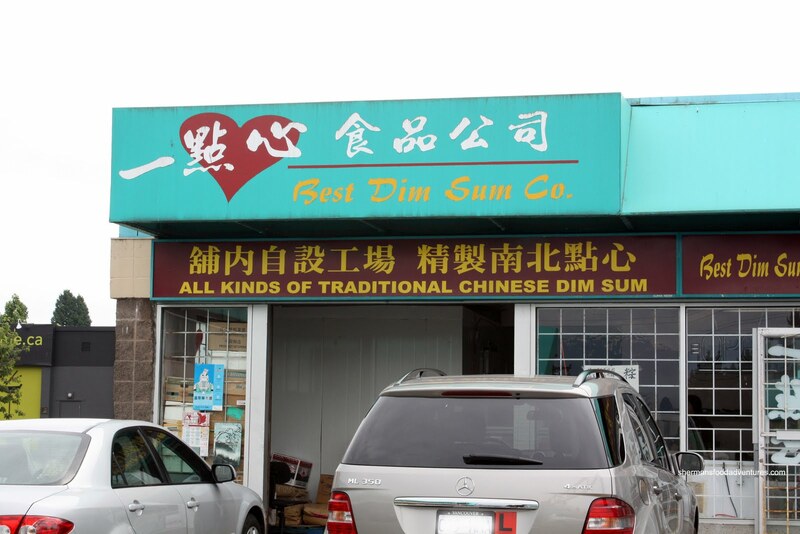 BEST DIM SUM. That's the name! It's in the picture! As for the addy, it was in the Urbanspoon/Zomato link before I severed ties. I've yet to go through every post, which is many of them, to correct them. Do a Google search dude.